Researchers at a company called Intelligent Fingerprinting have developed a new fingerprint technology that can confirm within seconds if someone has used cocaine. The system works by analyzing fingerprint sweat, and the technique is 99% effective. The new fingerprint technique is so effective that researchers believe it can also be used to detect the use of other dangerous drugs, including heroin and ecstasy. The test was developed by British researchers in partnership with the Netherlands Forensic Institute in The Hague and Intelligent Fingerprinting of Cambridge, England. The fingerprint test is not only more accurate in detecting drug use, but also "is noninvasive, hygienic and can't be faked," said study co-leader Melanie Bailey. Even after washing hands, the test can still detect the residue from benzoylecgonine and methylecgonine which cocaine leaves behind after use. In addition, fingerprint testing eliminates biological hazards and the difficulties in storage and/or discarding from current testing using bodily fluids. 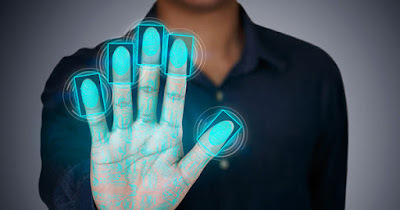 When will fingerprint testing be ready? Researchers anticipate the test could be ready within 10 years for use by law enforcement. When it is ready, it will represent "a real breakthrough in our work to bring a real-time, noninvasive drug-testing method to the market that will provide a definitive result in a matter of minutes," explains Bailey.